The members of Excalibur Voices include former choral scholars from Oxford and Cambridge Universities, experienced singers from many concert choirs, and several former cathedral musicians. They come together from a wide geographical area for intensive rehearsal periods prior to each concert. The number of singers performing each concert is flexible. Each concert is booked on an invitation basis to get the best blend of voices suitable for the repertoire performed. 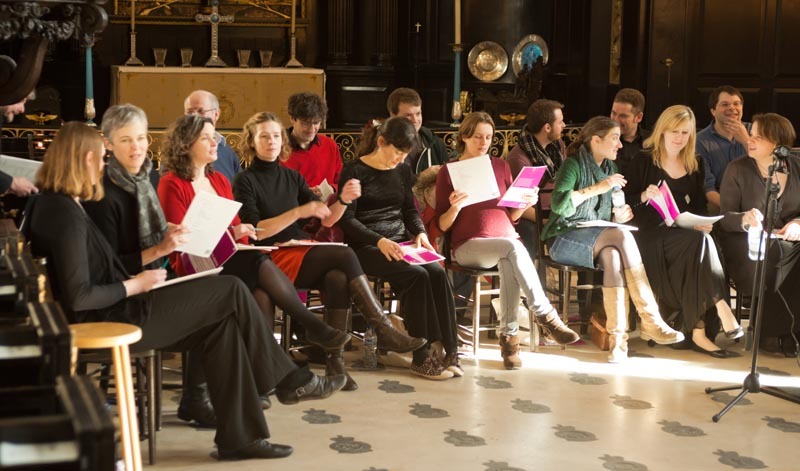 Many of its members have sung regularly with conductor Duncan Aspden in other choirs, and are valued for their musicianship, quick sight-reading and voice quality. They're also all thoroughly nice people.